A family firm of monumental sculptors founded by James Gibson (1846-1917) in 1883, at Havelock Terrace, 233 Paisley Road West, and Portman Street, Kinning Park. Born on 26 February, 1846, he married Jane Thomson, and had a son, James (1879-1936), who trained and worked under his father, and eventually succeeded to the firm in 1917, on his father's death. The firm expanded its operations to include workshops at Craigton Cemetery, 1578 Paisley Road West (opened as Govan Burgh Cemetery, 1873) and Hawkhead Cemetery, Paisley, with a branch at 411 York Street (now Moffat Street), Gorbals, and a granite polishing and turning works at Three Ells Road, Govan. As well as producing monuments for cemeteries in and around Glasgow, the firm participated in the Kelvingrove International Exhibition of 1888, with the large-scale sculpture group Ye Maunna Tramp on the Scotch Thristle, LADDIE.. This was their most important non-cemetery work, and their only recorded architectural sculpture. The group was commissioned by the Paisley based soap manufacturers Isdale & McCallum, to advertise their new range of Thistle Soap, and was intended to sit on the roof of their Caledonian Soap Works after the exhibition closed. Reputedly carved in marble, the group depicted an elderly man removing a thistle thorn from a boy�s foot, with the eponymous admonition incised across its plinth. Gibson's model for the boy has since been identified as Alexander S Cross, who lived near the sculptor's workshop and visited it regularly after school. Cross eventually served as a Private in the 7th New Zealand Rifle Brigade in World War I, and was killed at Messine Ridge in June, 1917. Such was the success of both the soap and the sculpture that reduced copies of the group were made available from Gibson�s showroom, cast in imitation bronze, for ten shillings each. These were advertised daily in the local newspaper, The Govan Press. As for the original group, after the exhibition closed it was returned to Paisley and the roof of the soap factory in Rowan Street, from where it was rescued by an Irvine based businessman in 1971, when the factory was demolished. After being displayed at his own factory for some years, the group was later relocated to Eglinton Country Park, where it was targeted by vandals who decapitated both the figures and amputated the boy's legs. The group is now in storage and awaits funding for the restoration proposed by the great-niece of Alex Cross, Isobel McCully, and former employee's of Isdale & McCallum. 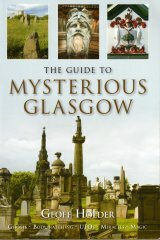 Gibson's cemetery work includes monuments in Glasgow�s famous Necropolis, including the monuments to John Barrie (1883) and John MacKinnon (1889). James Gibson died on 17 February, 1917, and was buried in Craigton Cemetery. His family are buried beside him, his son James, who died on 7 March, 1936, lying in a seperate lair. Both their monuments were produced by the firm itself. Isobel McCully: emails to Gary Nisbet (re: group and A S Cross), 2003-5;.